The Eco-Kare team has been monitoring the new reptile tunnels from MacTier northerly to Estaire since 2015 on Highway 69. 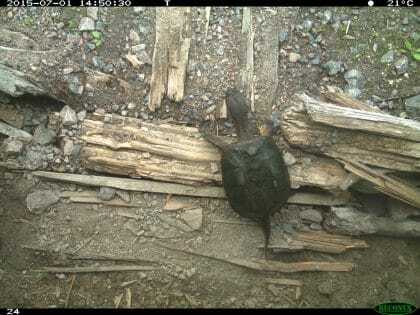 The most data has been obtained at the three larger reptile tunnels (2.8 m high x 3.2 m wide) near Sheppard Lake where 20 Snapping turtle and Painted Turtles have crossed through the structures in two years of monitoring. 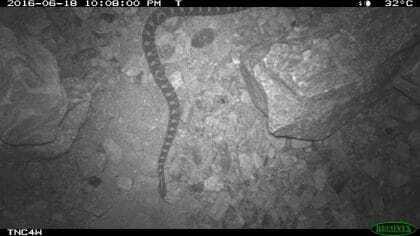 At one of the monitored 1.2 m round concrete tunnel a Massasauga rattlesnake was observed crossing in July 2016. 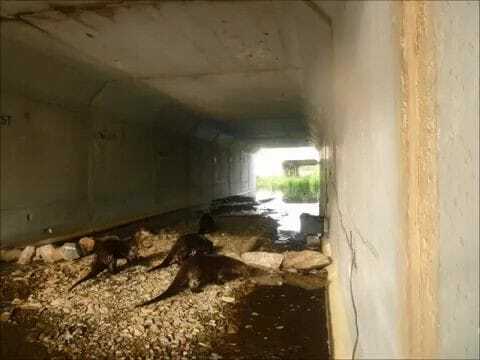 Click below to watch a video an overview video of reptiles and other animals using the three larger box tunnels installed on Highway 69 at Sheppard Lake, Ontario. 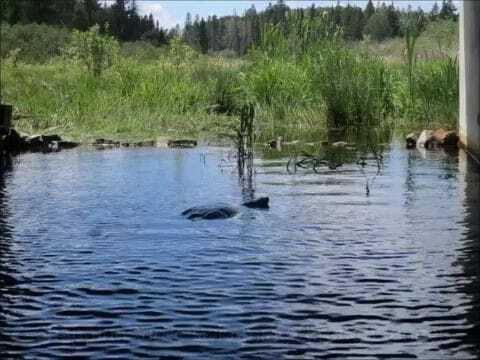 Click below to watch a video of turtles using the three larger box tunnels installed on Highway 69 at Sheppard Lake, Ontario.